Once you're happy, mash the rice with a wooden spatula by moving the rice in small quantities from the far end of the pot to your side of the pot. 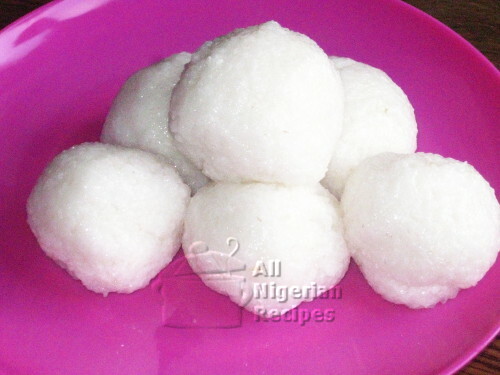 Serve Tuwo Shinkafa with any Nigerian soup. I love eating it with Okra Soup.